An English Homestead: No Space Is No Excuse! I saw this the other day driving around and had to share it. 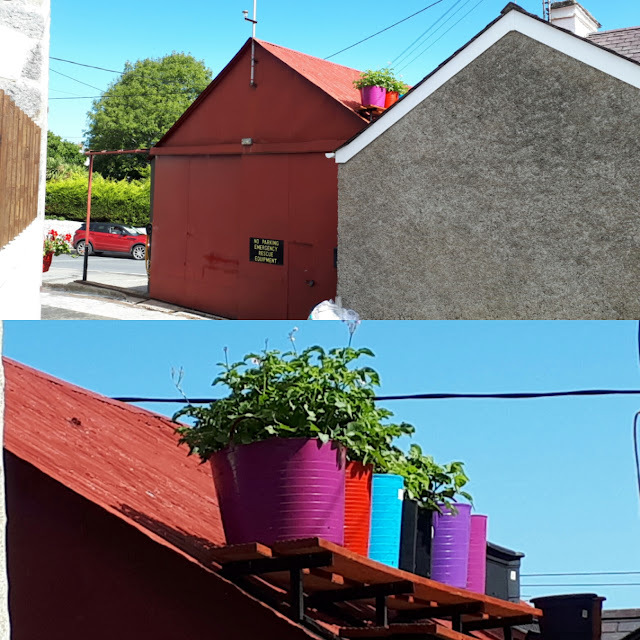 The guy loves his potatoes but has no garden to grow them in so each year has these tubs up on his roof and waters them with a hose, He has to climb out of his window to do it! What lenghts would you go to have some fresh produce? I love this. I have the tiniest pebbled courtyard and I love the inspiration. It's amazing what can be done when you're determined! When people around here grow things up on rooftops it's usually a specific variety of "leafy green". Just sayin'. That's in the roof space in this country! There is a house in Wix a village 4 miles from me and the chap grows loads on tiered staging in the roof. Brilliant. Great stuff! I just loved this idea! roof potatoes! how cool is that?! Not sure what his yields were but he does it every year apparently!